As Asia’s business hub, countless of people visit Hong Kong on a frequent basis, either for work or for play. I have friends who were based there for several months as part of their internship stint. As they filled me in on stories of their work experience, guess what was one of the top nightmares they had to face? That’s right - accommodation! 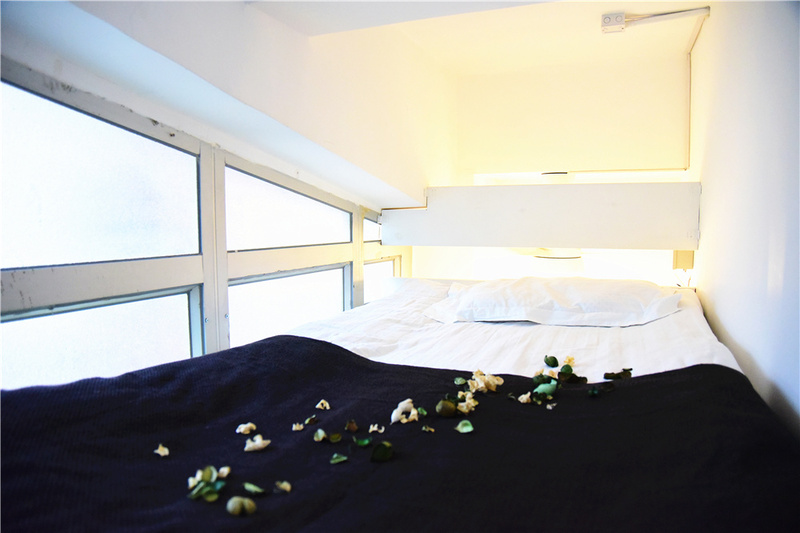 In a bid to search for both an inexpensive and comfortable second home to rest in after a long day, I sought help from my friend in Hong Kong to pass over a list of her favourites. 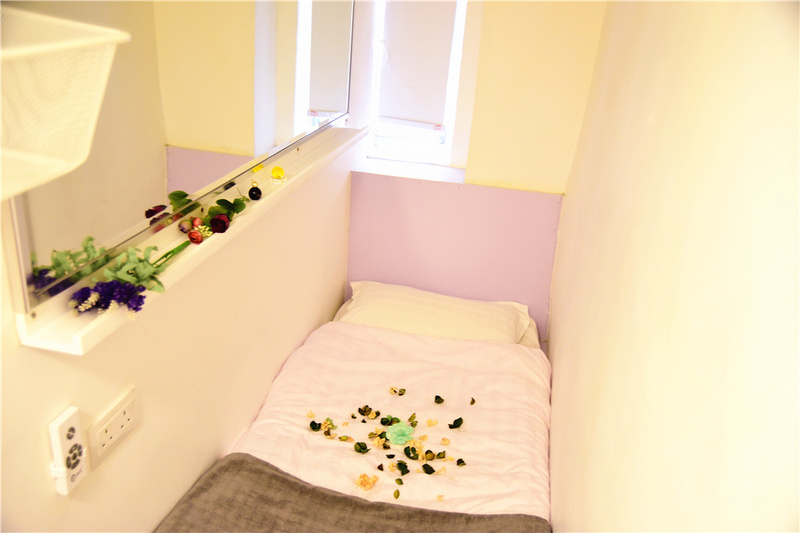 One of the recommendations was Apple Dorm, the current accommodation of her colleague. With rental fees starting from HKD$3,000 a month, I see why her colleague is planning to continue his stay. 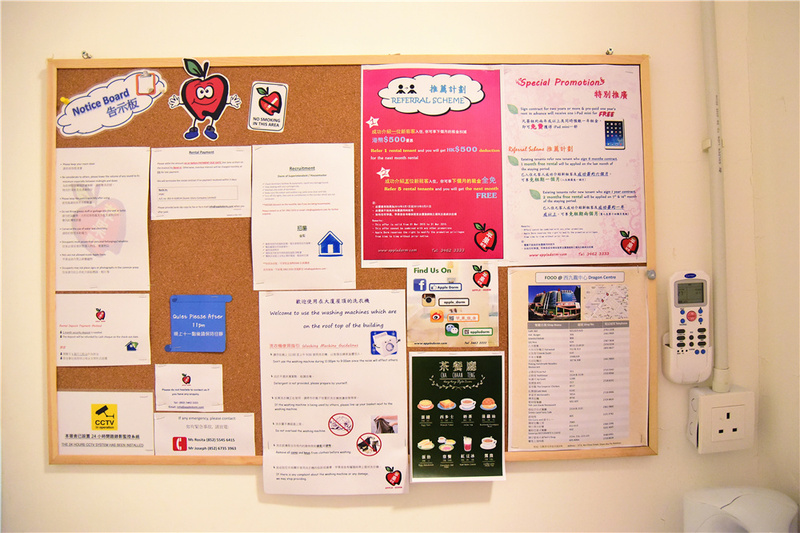 There are 2 Apple Dorms - 1 of them is in Sham Shui Po 深水埗, the heart of Kowloon. 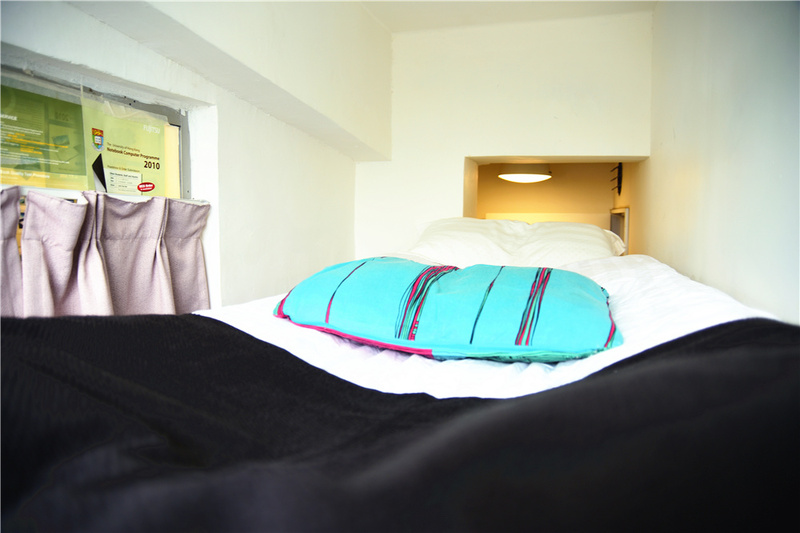 It is a 5 mins walk to Sham Shui Po MTR Station (Exit C2). We are aware of how high the properties cost in Hong Kong. I couldn’t believe my ears because the price sounds sketchy - it's too good of a deal to be true. With an impression of a dark and dirty place, I demanded to take a look at the dorm since it was conveniently located opposite of Dragon Centre. The management/landlords (2 friendly young women) happened to be in that day. After learning that I was a blogger, they kindly showed me around and allowed me to start a random photo shooting session. There were 2 types of bedroom choices. I was first brought to the Normal Bedroom. It was a far cry from what I’d imagined – the place was clean and proper! 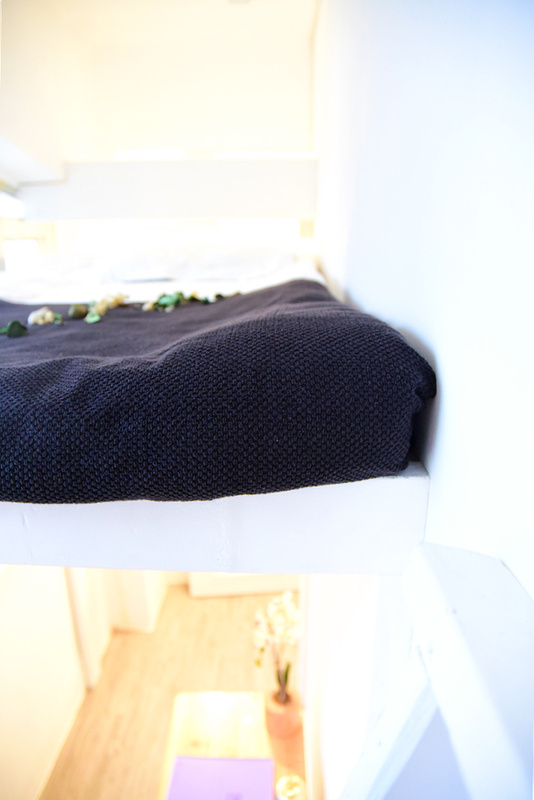 The cozy space is perfect if you need a place to fall in and doze off. If you have issues with space, there’s the 2-storey Loft Bedroom option. I assure you that there’s ample room to walk around. Climbing the ladder leads you to the bed. 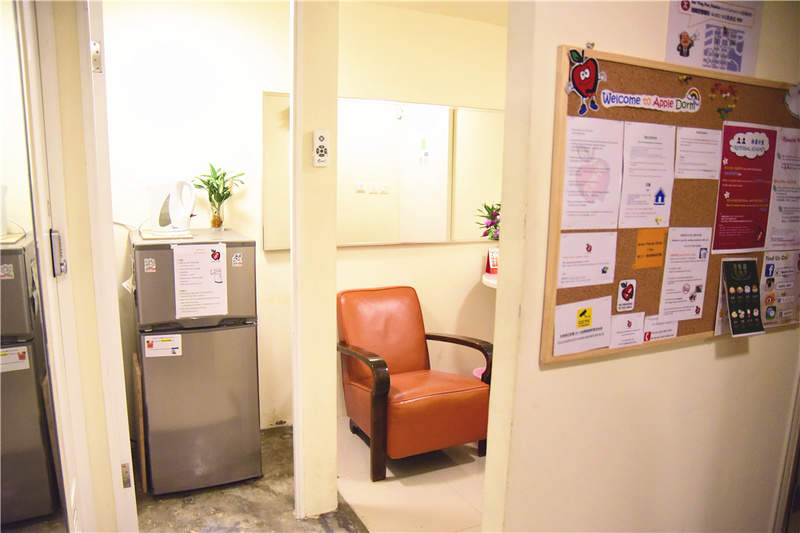 You can find various facilities like the kitchen and washroom along the corridors. They have a rooftop overlooking the area that completes the Hong Kong experience! 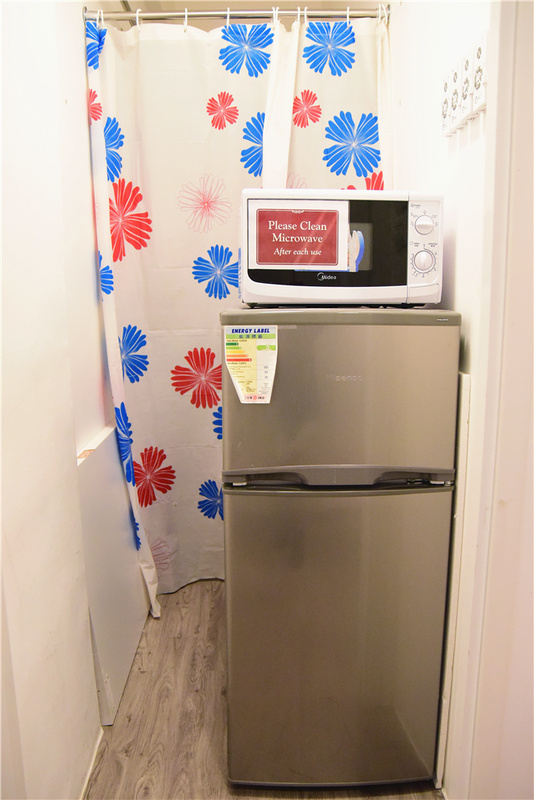 You can use the washing machine, dry your laundry or even engage in conversations with fellow tenants here. I was brought to their Sai Ying Pun 西營盤 dorm, the previous lodging of my friend’s colleague before she made the switch to Sham Shui Po, on a different day. 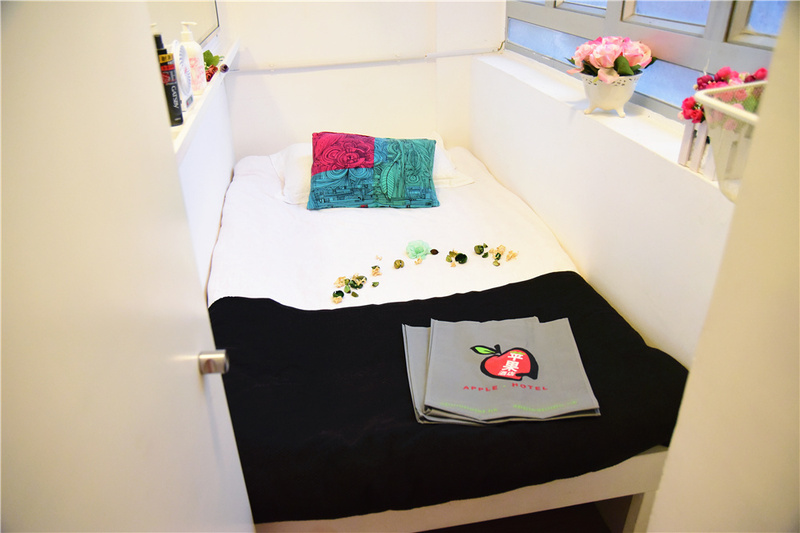 It was a 3 mins walk from Sai Ying Pun MTR Station (Exit A2). The rooms were the same. Rooftop overlooking the Victoria Harbour and the tallest building in Hong Kong. 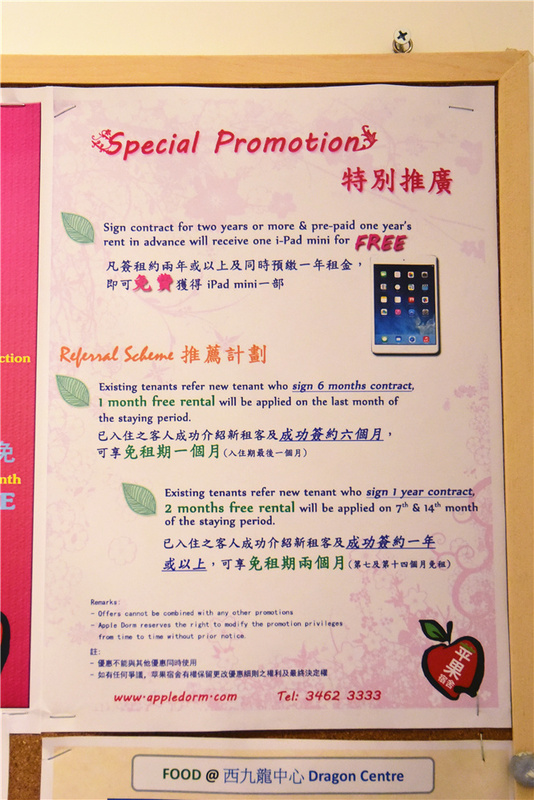 Sign the contract for 2 years or more & pre-pay 1 year’s rent in advance, you will receive one iPad mini for FREE! 1) Existing tenants who refer new tenants to sign a 6 months contract: 1-month free rental will be applied on the last month of the staying period. 2) Existing tenants who refer new tenants to signs a 1-year contract: 2-months free rental will be applied on the 7th & 14th month of the staying period. 3) Existing tenants who refer new tenants: HK$500 will be deducted from next month's rent. All in all, the more referrals made, the more free room nights they get! This sounds very promising! I have read a few bad comments regarding privacy and roaches. But when I hear you share those experiences I actually want to have a look there and possibly stay. Do you have any negative experiences? Hi, I loved the pictures and honest review! Do you know the price of the loft bedroom?